Here is the industry definition: A centralized lighting inverter is an electronic system that converts DC battery power to standard AC voltages to provide back-up for lighting systems during a power outage. 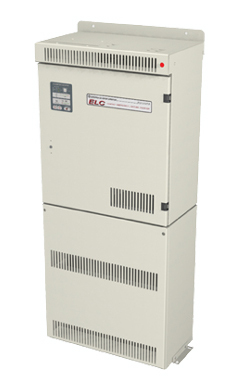 Centralized lighting inverters provide a single point source of power for all emergency lighting and exit signs. 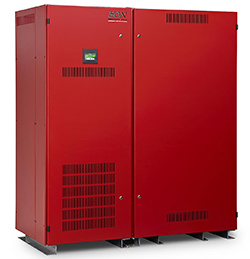 In addition, a centralized lighting inverter can automatically perform monthly and annual NFPA-compliant testing, log test results with a time and date stamp and enable all maintenance to be performed from a single location. 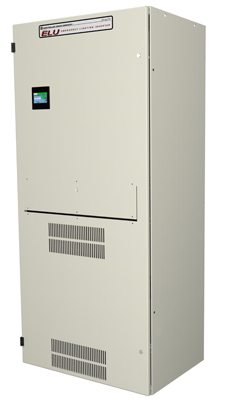 Here is a look at four different models in this category in single or three-phase varieties from Controlled Power Company. This model’s specs meet the requirements to be listed as “Emergency Lighting Equipment” and “Auxiliary Lighting and Power Equipment”, as well as NFPA compliant as “Life Safety Equipment”. 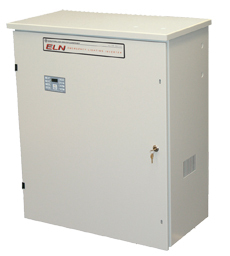 Its compact cabinet gives it one of the smallest footprints in its class industry-wide. It allows an overload of up to 110% for 2 minutes, 125% for 30 seconds, 150% for 10 seconds, and 400% for 4 cycles (without the use of static bypass). Also, whether fed from the AC power source or in battery mode, the EON has a peak overload capability of 1700% to accommodate inrush current from LED fixtures. This model sees use in places ranging from shopping malls to medical facilities. This model also features a small footprint and is listed as “Life Safety Equipment” “Emergency Lighting Equipment”. It’s peak overload capability reaches a slightly lower 1200% and sees use in schools, parking structures, retailers and more. It touts an industry-leading battery recharge time of 24 hours or better and a 4-stage, temperature-compensated battery charger for increased battery life. This model has a peak overload capability of 1400% and dual output voltage configurations: 120V & 277V, 120V & 208V, 120V & 240V, 120V & 347V. This model is used in larger structures such as airport terminals, arenas, and subways. It delivers highly filtered and spike-free power to emergency lighting fixtures and “Life Safety Devices” and is listed as “Emergency Lighting Equipment” and “Auxiliary Lighting and Power Equipment”. This features a true no-break system, designed for 100% loading using HID, incandescent, halogen, and quartz lighting applications, plus PFC electronic ballast loading up to 50% of the rated output. Churches, restaurants, theatres, and hotels can all use this reliably.